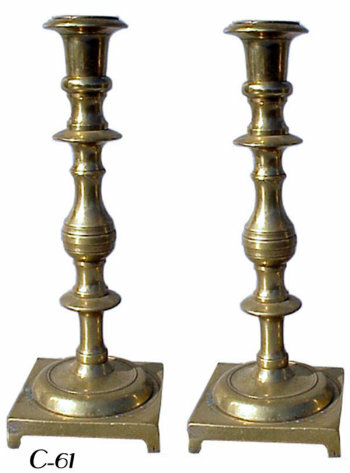 Mid 19th Century heavyweight brass Sabbath Candlesticks. Square footed base, domed and banded, with a baluster stem bladed above and below. Candleholders of flared krater shape.